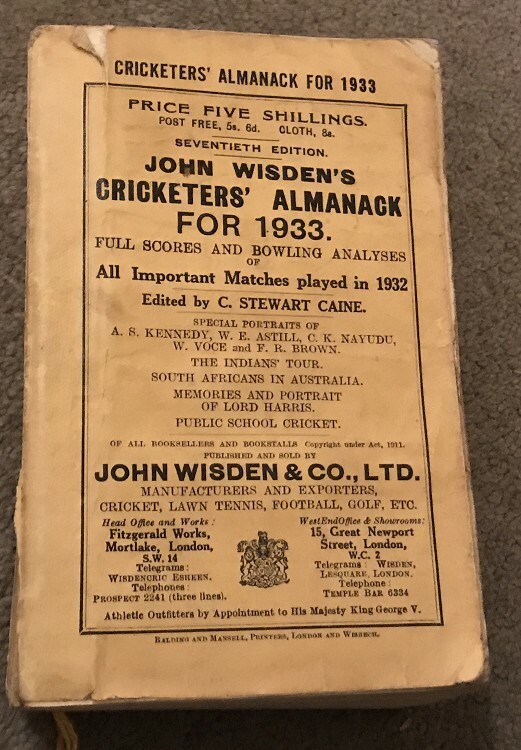 This lot is an 1933 Original Paperback Wisden. It is in Good Condition. It is 100% in original form which is nice to see for an old Wisden. The covers OK, there is some wear to the front at the top , the spine paper and tightness is very good, the downside is that the book feels quite well read with the odd dog ear. Still pretty good though. Batbookmark is missing. Internally,nice and clean with minimal foxing. Please see the large pictures. More available on request. Postage: £4.90 which covers First Class Recorded & Jiffy Bag.